I friends! Let’s talk home decor today, so pretty much what the usual is around here. But today it is not so much me showing off ideas as it is me talking about home decor ideas. I am going through a little bit of a transition and figured I can talk about my thoughts with you. Most people in my real life do not “get” home decorating, but you are my peeps and would gladly talk paint colors, patterns and decorating ideas all day. 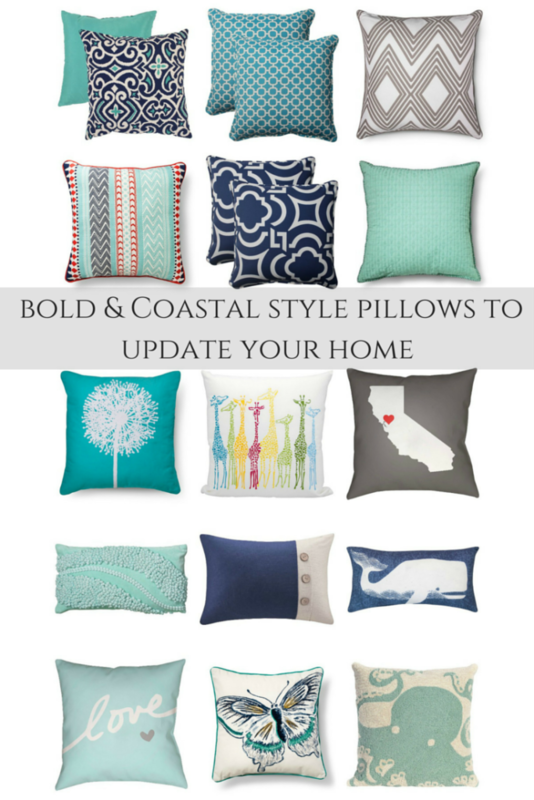 So, today I am talking about Bold and Coastal pillow ideas for the home. I change my home constantly, things are always moving around. However the mainstays have been my throw pillows and curtains in my living room. I fell in love with the pillows over 8 years ago and I have never looked back. Well, now I am looking at those tired throw pillows and wanting to move onto bigger and better ones. I thought I was being super progressive in my home decorating when I purchased these pillows. No one had busy patterns like this, and gray was not a color people were decorating with then. I feel so old saying that, “In my day…” Granted, this was all BB (Before blogging) so I was not too hip to the home decor scene. I just had the homes of people I knew to compare and my ideas were fresh, new, and so chevron-y. I still love these pillows, and will be keeping them for now. We have plans to eventually decorate our basement, these will go beautifully in there. I am ready for a change in the living room. I was at Target to get… I don’t know, probably tooth paste or something. I came home with a lot more than that, shocker right?! I had to go by the home section because it is just the pattern of shopping there, truthfully my shopping cart directed me. I saw these bold, bright patterned pillows and was instantly smitten. These pillows were giving me the “look,” I was a giggling girl in love. The blue flower ones are actually indoor/outdoor, but I think with my coastal decor I can rock these year round with no issue. The two sets of pillows were separate but they make a good set together. Dale looked at me oddly asking “Was I sure these were the ones?” Oh Dale, leave the throw pillows to me. When I first started decorating for my home I used a lot of really light colors such as light gray, white and turquoise because they felt safe. Easy to blend, change up and accessorize with. I still love the color scheme but want to make these colors pop more, I am more confident in my decorating choices now. Maybe because of this blog, possibly because of people complimenting my home, or me finally trusting my gut, not caring what others think. This is my home, I can decorate how I want. Either way I am itching to add some pops of bold patterns and color to my living room. I am surprised by my recent love-fest with navy blue, it was a color I never considered because I felt dark colors meant a dark room, which is not the case at all. I know I can mix in gray, turquoise and navy seamlessly. Now comes the fun part of this, I changed one thing in my living room and suddenly I want to update little things all over! It can really become an avalanche of updates, shopping, eventual painting of walls and a new sofa. I am not going all out, little updates for my new love of bold colors will do. Which means I am going to need more throw pillows! 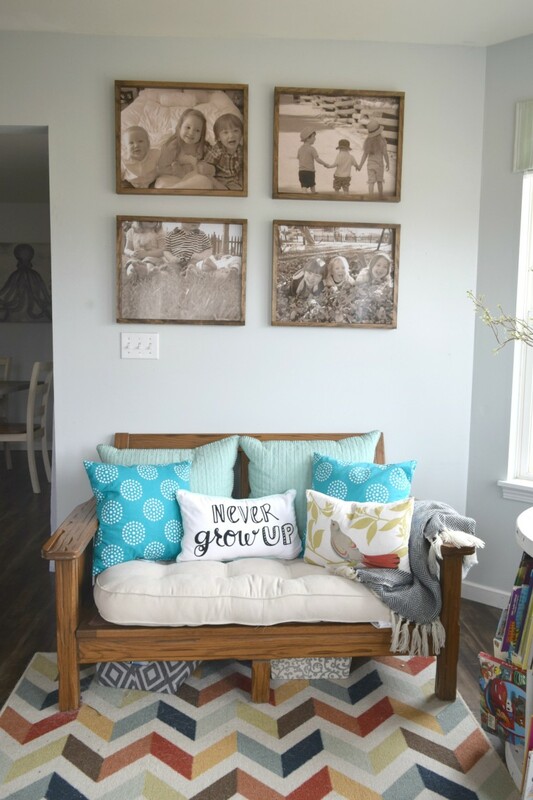 I have this bench in the living room, it has a lot of soft blues and turquoise, which work great. 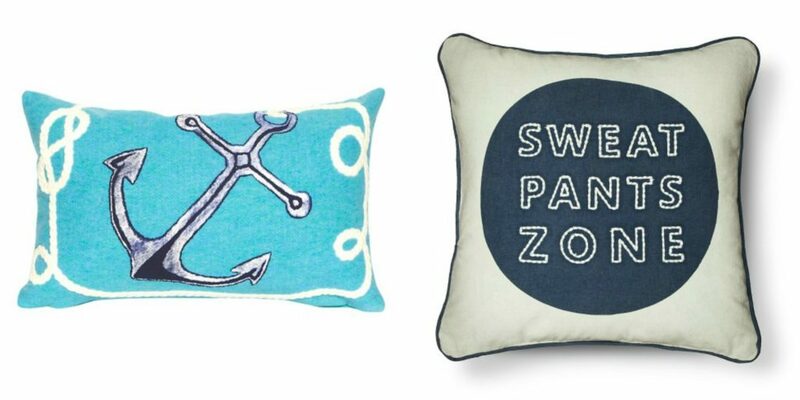 I am going to be on the hunt for a few navy pillows and bold turquoise to replace a few of these current pillows. Who knew there were shades of turquoise? This next conversation is a little emotional for me, yes curtains get me emotional. These curtains Dale made when we first purchased our home. Wayyyy back then, 8 whole years ago home decorating was different, at least the mainstream store decor. 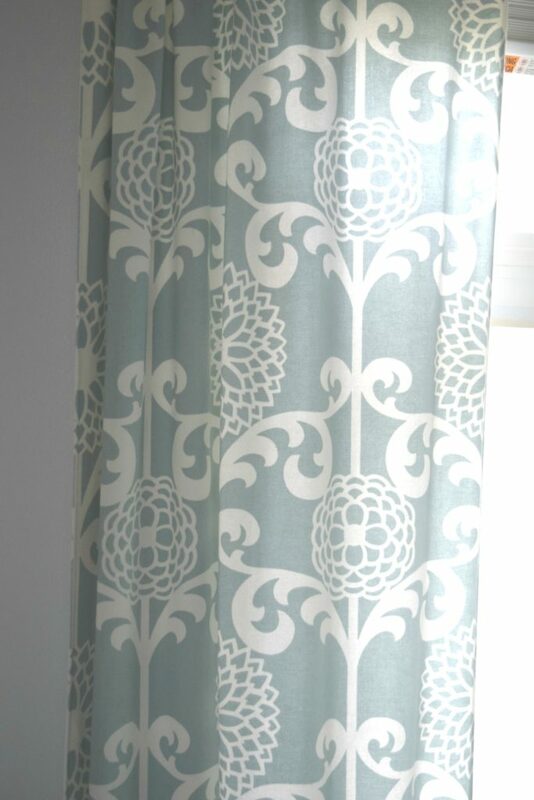 I could not find this color or busy pattern anywhere in stores for curtains. Dale convinced me we could find some fabric and make them. After I tried and failed to sew the straight line needed to make the curtains Dale stepped up to the plate and sewed these lovelies. Which is why it hurts to even talk about replacing them. 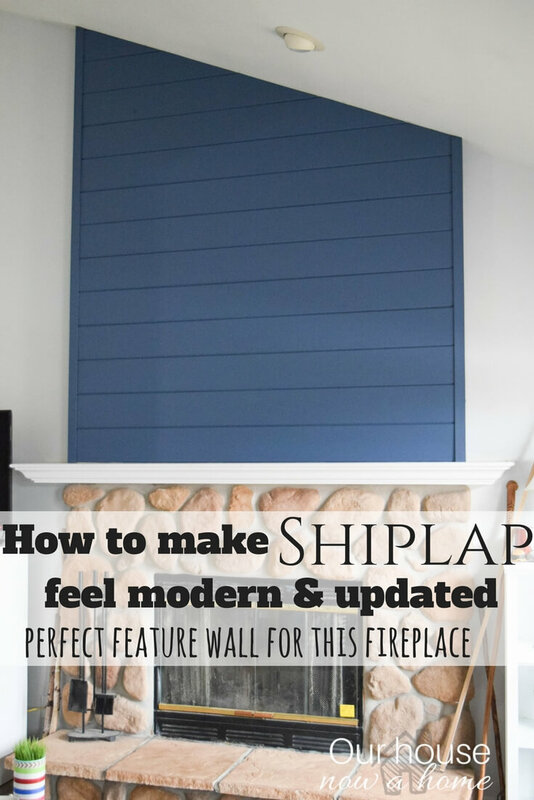 They were our first DIY project together (aside from our three kids, heyoo!) 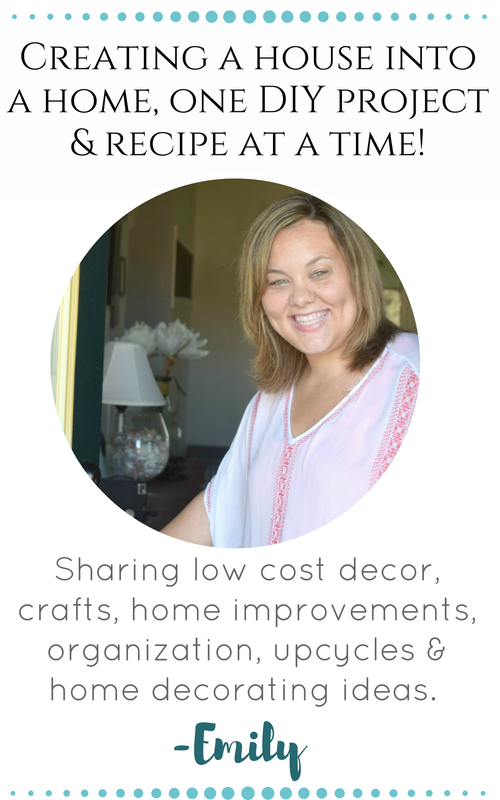 it was also the first time I took a chance on decorating, it is what led me into having the home I love and this little blog as well. As you can see the new pillows can work, but once I get new pillows for the bench in here this could be too much of a good thing with patterns. I don’t want to look like a fabric store exploded in my home. I have been tiptoeing around this new bold feeling of mine for a while. 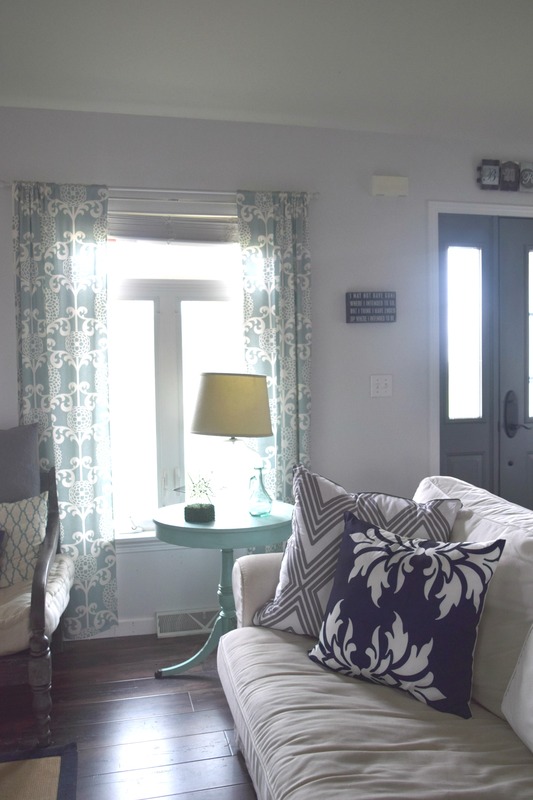 I painted my front door a dark gray, I made the gallery wall in my living room become a true focal point and I have added fresh color to my accessories in my home. So I guess this transition has been brewing for a while, I have a need for bold colors, I am ready for this challenge! I feel like I should be suiting up and taking an oath, this is serious business guys! I nominate myself as tribute to get the job done of updating my living room! There will be a few casualties in this update, including this wall art. I purchased it when we first bought our home, and aside from changing it out for different holidays it has remained up on this wall. I love the colors in it, the art was one of the first fancy pieces we had purchased. However, it has a traditional feel, which is what I was assuming I would decorate our home with at the time. I had visions of shabby chic decor with all white furniture and a cutesy/country feel. Nothing wrong with that look at all, I somehow changed course and became a coastal loving decor chick. I guess like clothes, hairstyles and men, we all have to find what is our type. I have settled (for now) into a slightly different look for my home, which means it is time to update this wall art. I like my clothing style, I love my man, but this wall art has got to go. I will be replacing it with this! 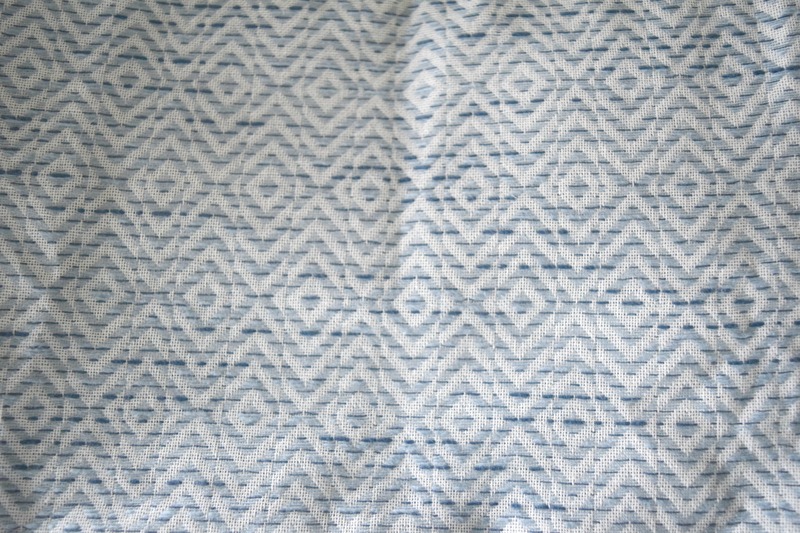 This is a close-up of the fabric I am using for the wall art. Of course I am doing it DIY style. I was not crazy about the art I saw in stores, and do not have weeks to shop… if only….. so I am going to make it myself. I like the subtle hints of color and texture, without it being overbearing. I will be revealing this once it is done. As of now I still have this fabric folded on a table in the living room. I am antsy to get working on it though! I wanted to be helpful with my pillows, since I purchased them from an actual store. Which means you all can get them too! Usually my decor is secondhand finds, redone by me, or made by me completely. I share more of the idea of what you can do instead of actually providing the product. So when I was looking for my specific pillows at Target to leave a link here I found sooooo many other coastal and bold throw pillows that could work. 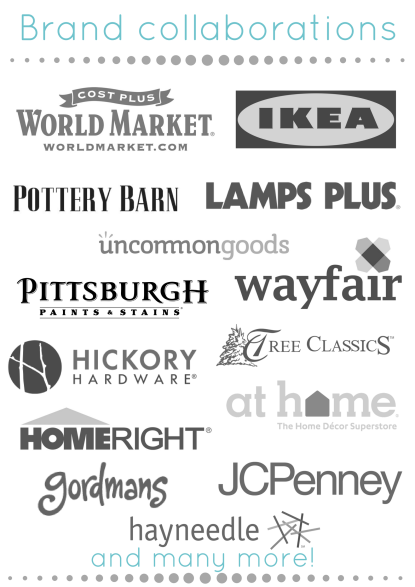 I figured I would create a little shopping guide for you, with links to them. They are all from Target, some just online, all are pretty affordable and adorable. I am excited for this because I never get to share my purchases! Let me know if this is something you find helpful and enjoyable. It is a new idea for this blog, and I want to make sure it is something you enjoy. I tried to find the navy blue pillows online I purchased for my sofa, but could not find them. They were on clearance at Target so I am assuming they are discontinued or something. Not sure if that is a good or bad sign, are they so cool everyone wanted them? Or no one wanted them because they are weird and no one purchased them? I found some other options that would work with the combination of colors for you instead. I still need to replace the pillows on my bench and some of these are definite contenders. On a side-note, that giraffe pillow makes me want to scrap everything in my home and do a safari theme. It is too cute, I had to share. I think that could fit well in my study, it is the “big-kid” play room and I have an overabundance of color in there. I am thinking it needs some adorable giraffes too. Also, I need that sweatpants zone pillow STAT! I am all kinds of fancy and love to dress up, but when I am home I am home, the more casual the better. Yeah, that giraffe pillow would fit right in with this room, time to go shopping! So what did you think of my Bold and Coastal pillow ideas for the home? Did you see any pillows you liked? 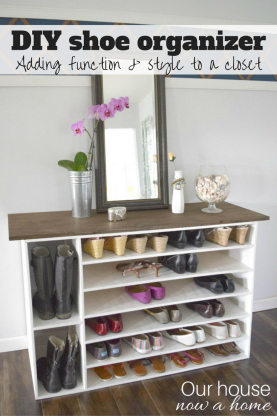 How do you usually transition your home when you are wanting to update things? I worry that my home will look awkward for a while, like when you are trying to grow out bangs. It takes a little bit of weirdness and bobby pins everywhere. But, once all is said and done you have some awesome layers, and the knowledge to never do bangs again. At least I did, frizzy/curly hair and bangs do not mix. So this is my home’s awkward phase, I am feeling things out and going bold. Although I am not sure if I can part with our DIY curtains yet. Baby steps! 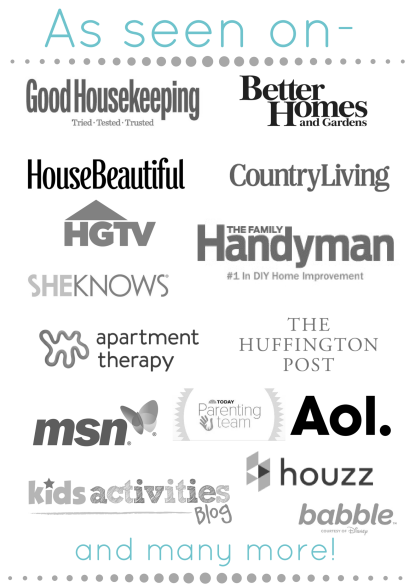 What did you all think of the shopping guide? Is it something you would like to see more of? Was it annoying and overkill? Tell me all about it, I can take it! For now I am off to daydream of bold colors, and get to work on the wall art above my fireplace mantel. 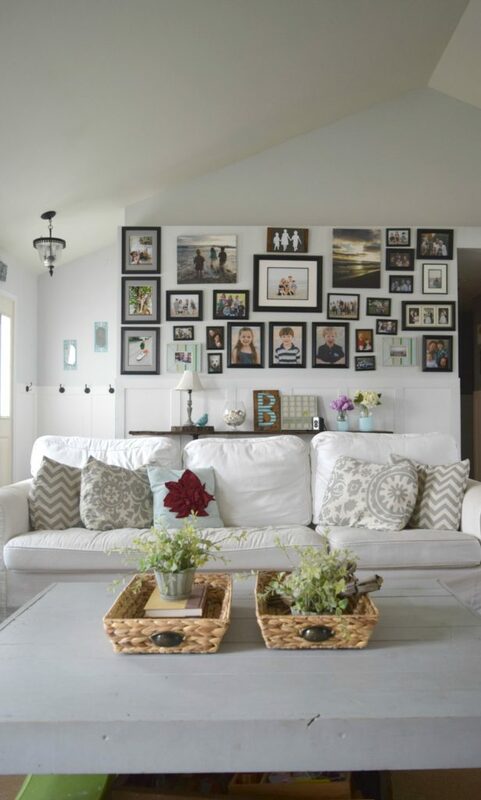 I adore those pillows and I love the wall with all the family photos, looks perfect! 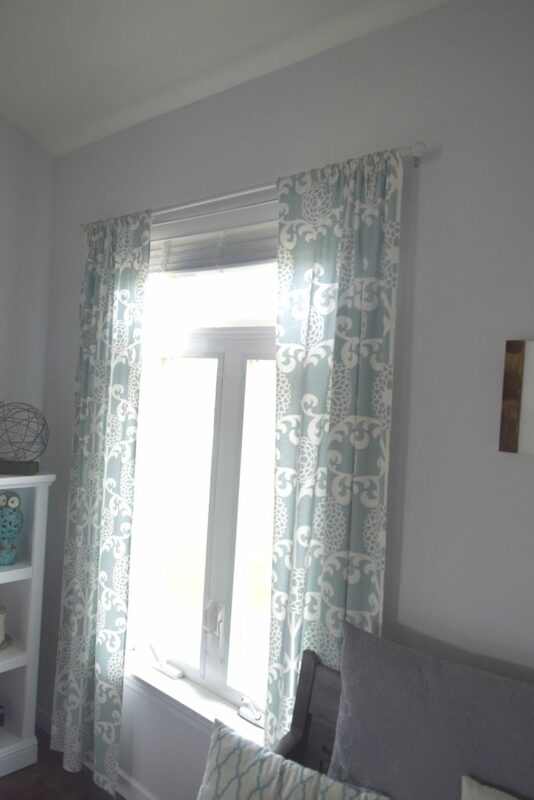 I think those curtains would look amazing in my guest bedroom I am doing for the OCR. but I dont have time to put them in.. Maybe later. Not enough time in a day, its crazy! You got this with the ORC, it is hecitc and crazy but you will end up with a beautiful new room. I will be playing along in the fall so will be right there with you! These pillows are so adorable. I love them. The bold color looks so great in your room! Thank you! I am loving the bold look too. Love your shopping guide AND we can totally relate to the love of throw pillows. You can never have enough throw pillows 🙂 Thanks for sharing your great ideas! Love those pillows, especially the blue ones! 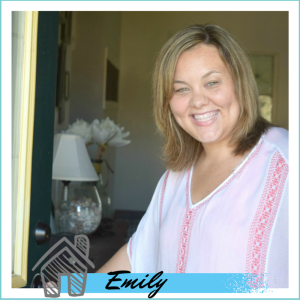 Emily, I’m loving the navy colored pillows. 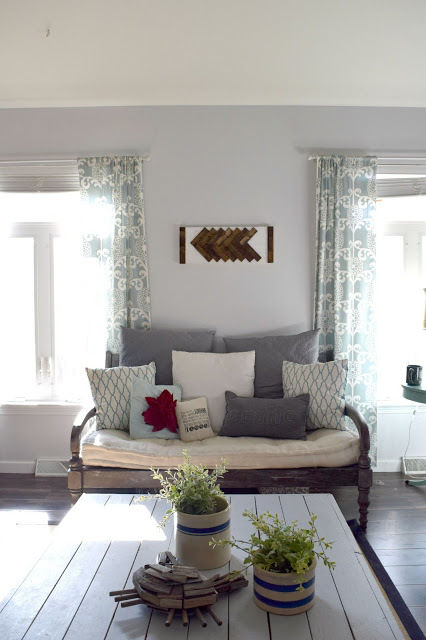 They definitely add a coastal vibe to the room and I love how it pops against the neutral sofa. 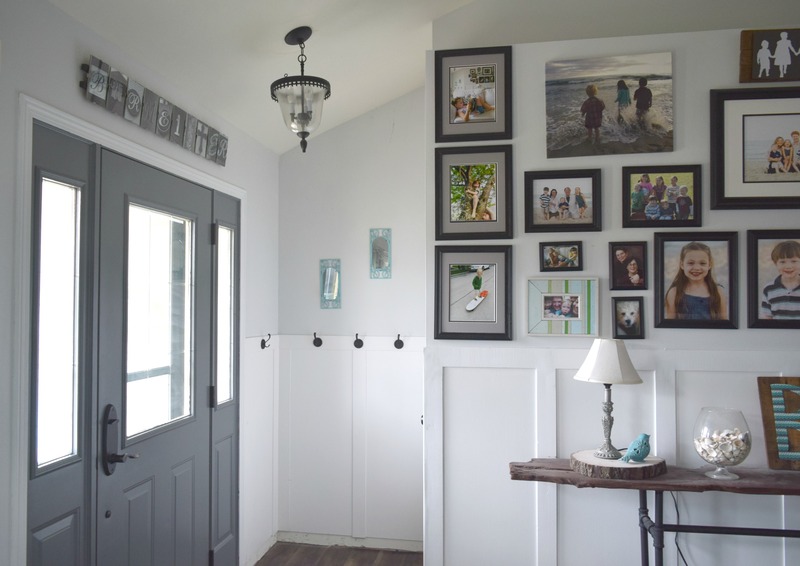 BUT, can we talk about the giant gallery wall please? LOVE!!! Thank you so much! I bulked up the gallery wall a few months ago and love the statement it makes. I love this! I just bought a house on cape cod and I’ve been trying to get some ideas for decorating it and found these! These pillows would be perfect throughout the house. Thanks for sharing! How exciting, congrats on the new house! I love your new pillows. 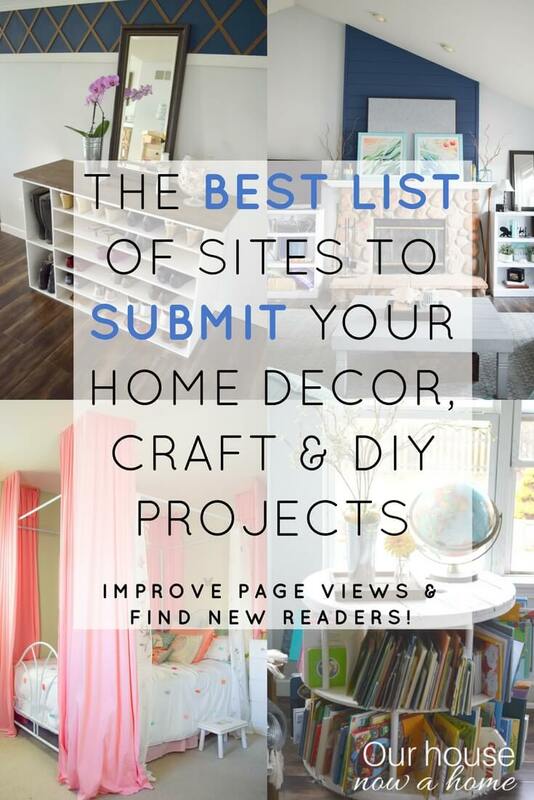 I’m always looking for new ones since they’re such a easy update to any room. I am always eyeing throw pillows too! 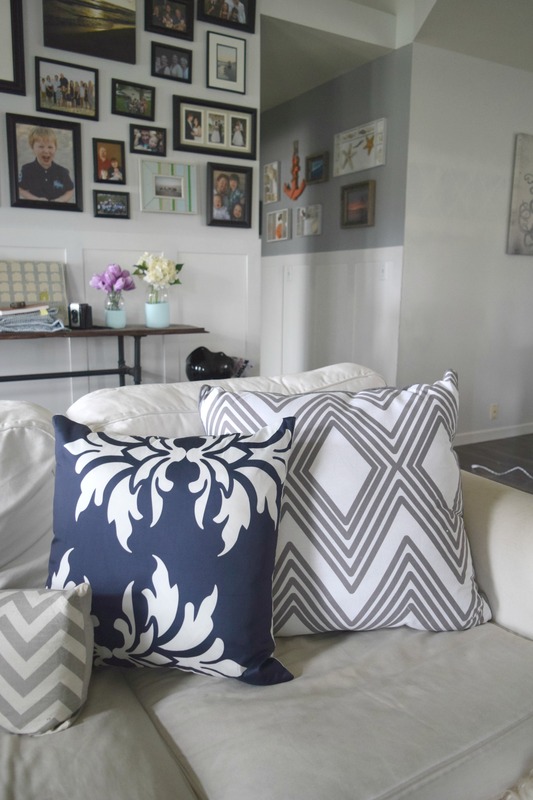 So fun – I love all the color you are adding to your living room. I love that giraffe pillow in your links, it’s so cute and colorful! Thank you! That giraffe pillow is so cute! 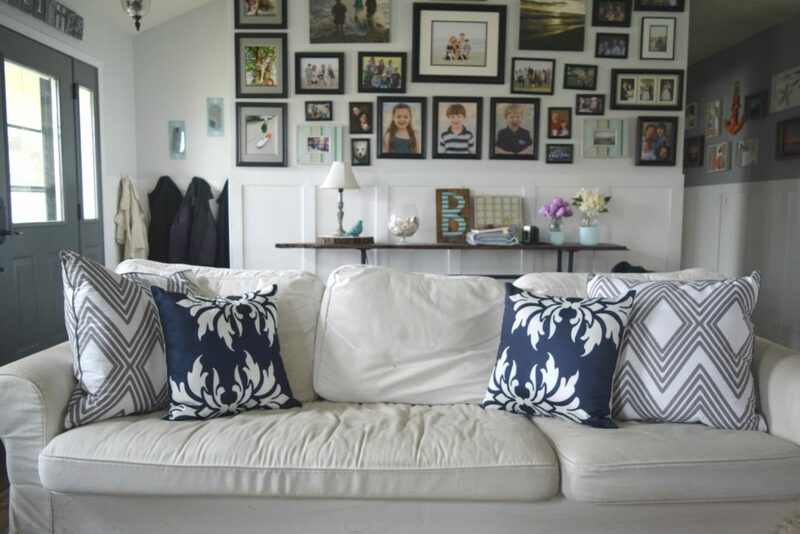 Love those pillows and how they really pop on the couch now! I’d leave the curtains until you are ready to replace them. You’ll know when you’re itching to update them or when they don’t fit any more. 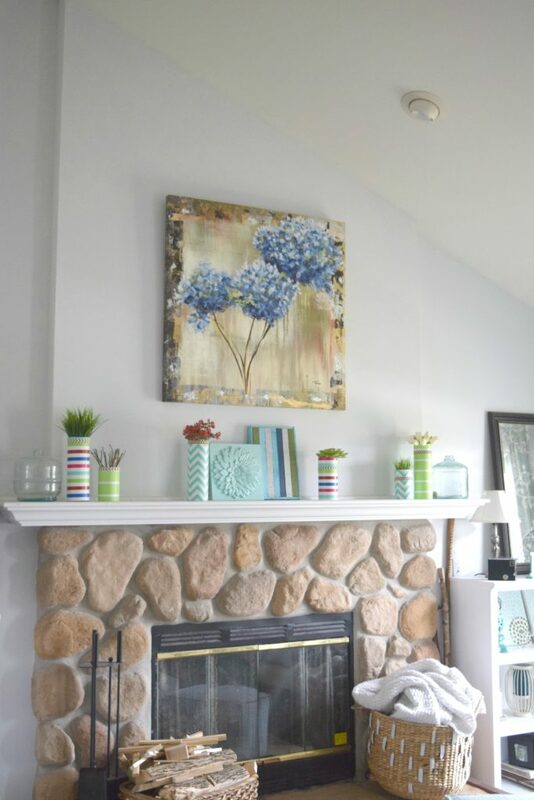 Love your cozy living room and great job on the gallery wall. Thank you for the advice, I am still not sure about the curtains. I have time to think it over. We are moving next month and I cannot wait to put some of your stuff to use in our new home!! Love your style! How fun! Good luck with your move and decorating your new home! This is beautiful. The pillows and the print of the covers definitely add a unique touch to the home. Great tips! I love your home it’s gorgeous! and your a lucky girl to have a husband that can sew!! My husband can’t even iron. Do you hide all the pillows except for pics and company? My house would be a 24/7 pillow fight if I had that many! Though I have always suspected by the looks of your house that your kids are calmer than mine. Ha ha, my kids actually love to cuddle up with the pillows on the sofa or chairs. They do use them as rocks on the floor occasionally. My dogs are actually the pillow haters, they always shove them off the piece they are sitting on. Don’t let the pictures fool you, my kids are crazy mess monsters. I do make them keep their mess in their bedrooms. And most of my pictures are taken when I have banished them outside so I can have the house nice.